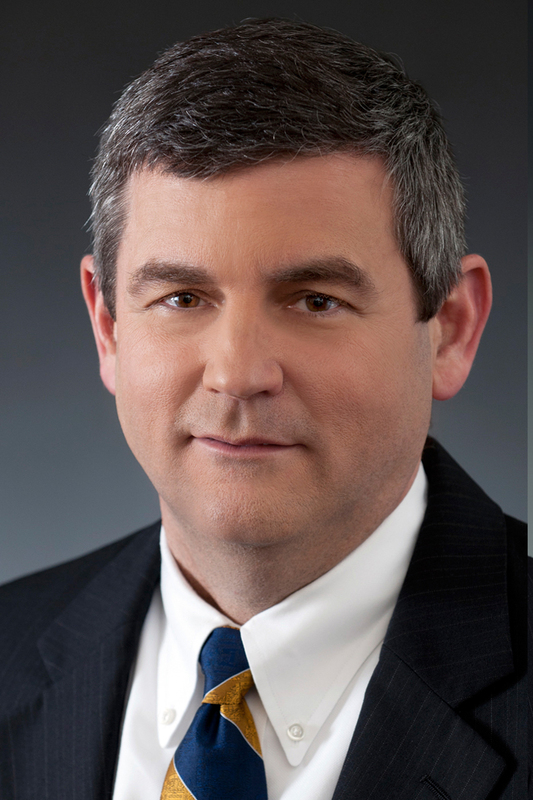 Mike Petters has been the chief executive officer of Huntington Ingalls Industries since the shipbuilder was spun off from Northrop Grumman in 2011. On Thursday, Petters briefed reporters in the state of the company almost 18 months after the spin-off. It was our first full year as a public company. We spun off in 2011 from Northrop and we did that in the end of March. We really had three quarters in 2011, but last year was the first full calendar year. As a public company there are lots of things you are doing that you weren’t doing before that you do for the very first time. There are lots of things that were done by other people before you became public. And our team did a very credible job working its way through that and we’re at the point where we’re doing it again. . . . We did that in an environment where there’s more than usual uncertainty in the economy, the business environment, and politically. . . . You couldn’t go a day without hearing someone talk about the level of uncertainty in the business climate. For businesses in that environment it was a turbulent year. Usually aerospace and defense companies tend to be a little bit insulated from that kind of discussion. But I think the Budget Control Act of 2011 put defense contractors front-and-center in that conversation in a way that we were not before. I think as the year played out you saw different companies react to that in different ways. For us the issues were to pay close attention to our own knitting. When we spun the business from Northrop Grumman we said we have five contracts that we have to negotiate. We have five ships that we have to deliver that are troubled ships. It’s going to take us a couple of years to get those ships out of the way. I’m happy to tell you that three of those five ships have been delivered. In 2012 we delivered LPD-23 and -24. LPD-22 was delivered at the very end of 2011. We still have two ships to deliver this year, LPD-25 and LHA-6. . . . Getting those ships delivered has been our focus. . . . We have to finish those two ships and get them delivered. In that regard execution and operations have been continuing to steadily improve. On LPD-25 and LHA-6 we had quality launches last year. On the contracting side, we signed all of those contracts that we needed. It was two more LPDs, two DDGs, and LHA-7. Frankly, that level of contracting sets the stage for what will happen at Ingalls for the next three to five years or so. We are engaged in a competition for the next round of destroyers. That’s in play right now around the [continuing resolution] and the FY 2013 bill. In some way it insulated us from the near-term [fiscal] cliff of the BCA and all of the other things that were going on. However, all of this stuff goes with sequestration; it may effect the way that we hire and the way that we ramp into some of the work in the future, but we never thought that in January of 2013 we were going to issue a whole lot of warning notices because we were going to have to lay people off. We felt from the beginning that if you have obligated prior-year funds, those would be the last funds to be targeted. Not to say that you couldn’t go get them, but there’s more value in other places before you get to that. We watched as our industry wrestled with the challenge of long-term contracts versus short-term contracts and we made a decision early on that we were much more of a long-term business. While it made sense for other folks to have a view on the short-term side of it, our view was much more long-term. We now find ourselves in 2013 where we still have a lot political uncertainty a lot of economic uncertainty. The election is behind us, which is a good thing. We’re coming to a place where the next set of challenges as we finish the risk ships on the Gulf Coast will be the contracting activity for new work at Newport News. In play over the next 18 months or two years: a new carrier contract for CVN-79, the [John F.] Kennedy, the inactivation of the ex-Enterprise, the refueling contract for the Lincoln (CVN-72). The ship is due to arrive in Newport News in the first quarter of this year and the next block of submarines with our partner Electric Boat. All of those are in play. All of those set the stage for Newport News and its work for the next half-a-dozen years or so. Some of those contracts will carry well into the 2020s. We will be very engaged in trying to help people understand decisions that are being made with regard to appropriations bills or budgeting and effect those things relative to the industrial base.